President Rodrigo Duterte may once again run for the Presidency under the proposed charter for the federal government initiated y is administration, according to Julio Tehankee, a member of the consultative committee that drafted the proposed federal charter. Tehankee, chairman of the Concom's sub-committee on political reforms, said that there is no ban for Duterte to run again and serve until 2030. 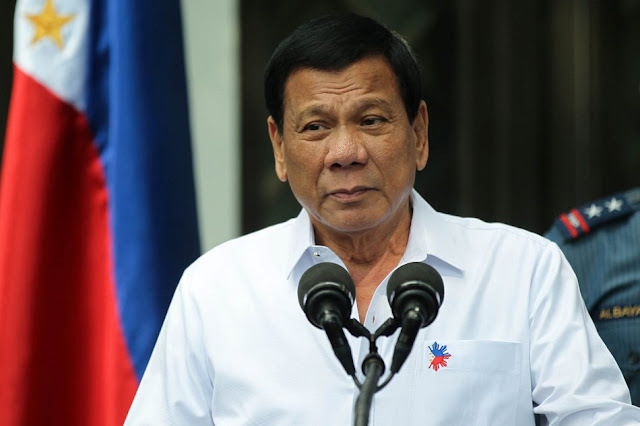 Should the new constitution take effect in 2022 at the end of his present term, Duterte will be allowed to run for a fresh four-year term and then another re-election for a term that will end in 2030. He said that such would be like a "reboot", a "reset". “Their term will end in 2022. There’s no ban. They can run under a new constitution,” Teehankee added, referring to Duterte and Vice President Leni Robredo. Under the new federal charter, all elected officials will have a term of four years, with one possible re-election. The President and Vice President will also be required to run as a tandem,in order to avoid having the two highest officials in the country to come from different parties. However, there will be no term extension for any official during the transition to the proposed federal government. The shift is one which is criticized by some as it would extend the term of Duterte. The new chapter will also introduce new reforms to the political system, two senators will come from each of the federal regions which will be governed by local officials under a paliamentary system, and regional governors and vice governors will not be elected, but chosen by members of the regional assemblies composed of representatives elected by tehir sovereigns. The Federal House of Representatives will be increased to 400, with 160 seats allocated to a proportional representation system that will replace the party-list system. Tehankee said that for the first three electoral cycles, he said half of the 160 seats would be reserved for five identified marginalized sectors: peasants, workers, urban poor, indigenous cultural communities and fisherfolk. “These sectors can either form their own sectoral party or coalitions among these five sectors, but they have the entire 80 seats to themselves (for the first 12 years). The rest will be open to other sectors. The objective really of proportional representation is to encourage party-building,” he said. However, teh draft for the new charter is not yet available. “Federalism is based on the principle of self-rule and shared rule. It’s shared rule, not shared sovereignty. Some individuals, some sectors have the notion that it’s going to break the country into mini-republics. No, that’s not (what) we’re looking at,” Teehankee said. “We are going to give everyone, the regions, an equal opportunity, the wherewithal to actually craft their own development,” he added. Under the new charter, the Commission on Human Rights is given prosecutorial powers, however, it has reacted negatively on the manner, a fact which Fr. Ranhilio Aquino, another ConCom member, is puzzled about. “I wanted the CHR to conduct its own investigation and the power of the CHR to tackle the information in court, and so I am bothered. Why does it seem that the CHR is not enthusiastic about my proposal?” he said.